Guess What Just Arrived at Tazza D’Oro? It just keeps getting better – three new 2008 coffees just arrived at Tazza D’Oro! Back in September, customers started to ask when the 2008 Holiday Blend was going to be ready. It’s ready and it’s absolutely delicious. Once again, Batdorf and Bronson captured the flavors of the Holidays with the 2008 Holiday Blend Edition. I made this coffee in a French Press and was wowed by it’s incredible sweetness and full body- bold flavors of chocolate, caramel and spices. I drank this coffee throughout the day – breakfast, afternoon and after dinner – great all day coffee. The next two coffees come from Nicaragua and are 2008 crop Limited Editions, Relationship coffees. Nicaragua Finca Los Milagros is wet processed then sun-dried (coffee report). I also tried this coffee in a French Press and loved the initial hit of sweetness followed by a toasted chestnut flavor, chocolate and dark fruits – full-bodied too. B&B is roasting this coffee a little darker for the Holiday Season. 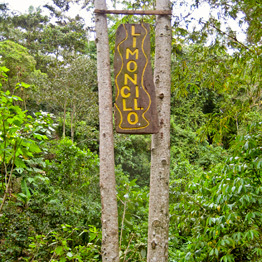 Nicaragua Limoncillo Pacamara Peaberry (coffee report) is a washed, 100% sun-dried coffee. 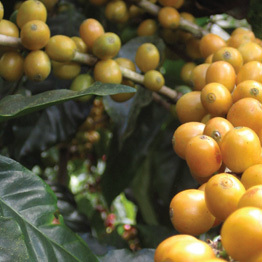 A few weeks ago we were able to try a sample of this coffee and were blown away – first by how huge these peaberry beans appeared and second by what we tasted in the cup – coco, lemon, tropical fruits – WOW! I love this coffee and finished the whole sample bag myself. We will be featuring these coffees throughout the next few weeks and like our other coffees the Holiday Blend, Los Milagros and Limoncillo will be brewed using a French Press. Come and get em, they won’t be around long!